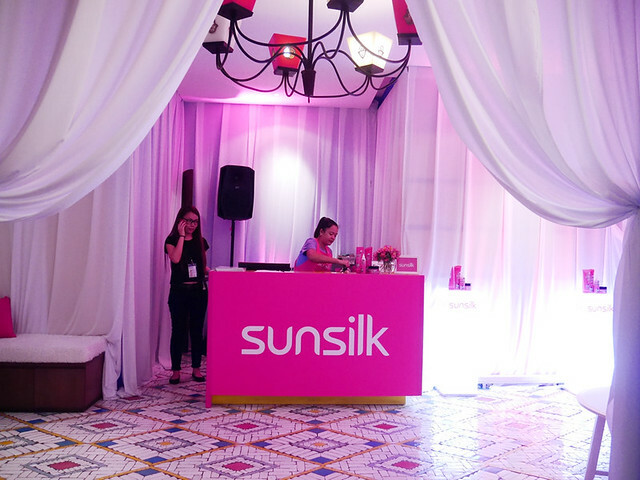 I was invited by Sunsilk to attend an event in Hammam, which is a spa located in Publika a week ago. 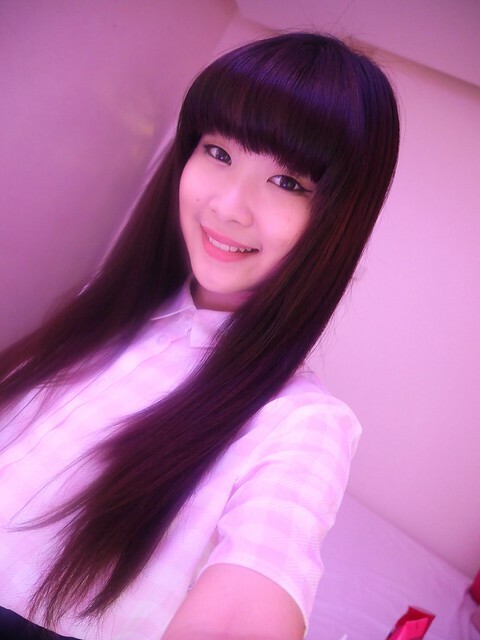 The dress code is to wear pink so I wore a light pink checkered blouse hahaha. Before actually attending the event, I got super excited because my talent manager told me that we will be getting complimentary hair wash and body massage!! 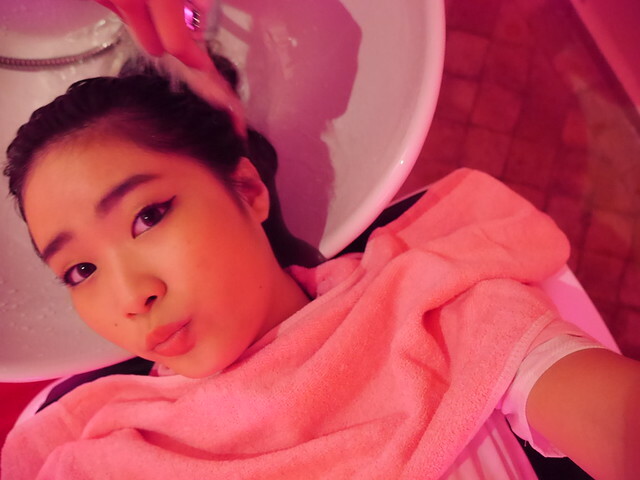 At the same time, I was also pretty curious and I couldn't help but wonder: Hmm...since Sunsilk is a brand that sells hair products, why are they inviting us to a spa for a pampering session?? Upon arrival at Hammam, I was already greeted by a gush of tranquility and romance. (Just look at the beautiful setting)! 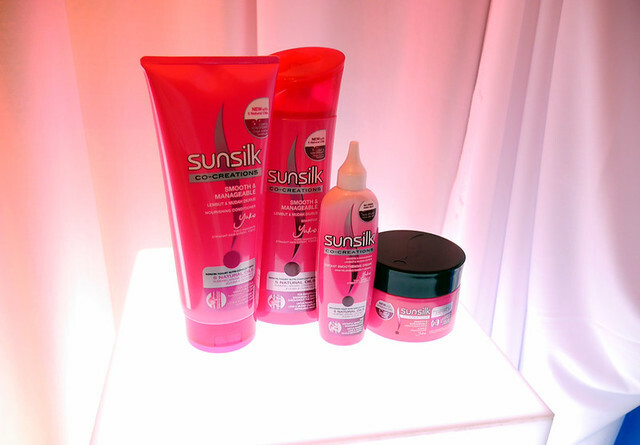 On the table sat these beautiful pink Sunsilk products from their Smooth and Manageable range. Yay, time for some foot massage!! The foot massage was great!! 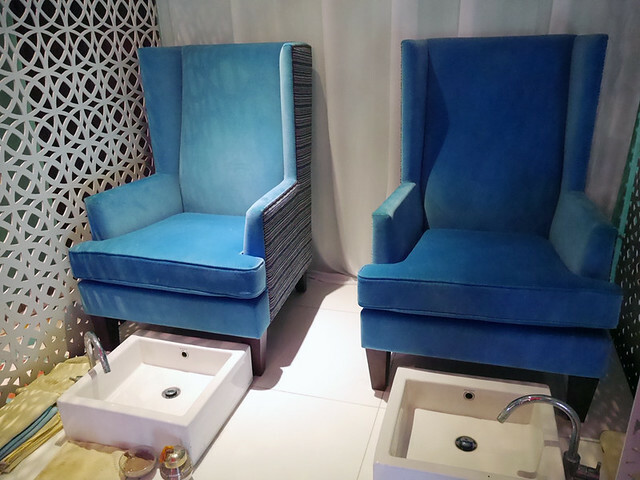 The lady first soaked my feet in warm water, then began massaging my calf muscles gently with argan oil, which was extremely relaxing! 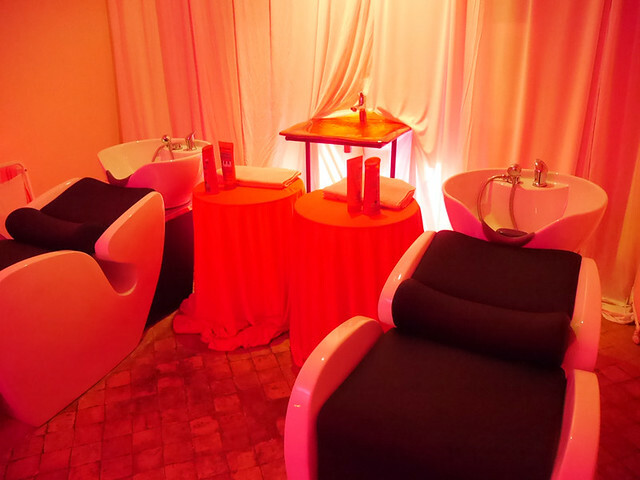 After the foot massage, we were brought to this room for a hair wash.
Woosh, feeling much more refreshed after a hair wash! Showing off my selfie-ready-hair!! I love the fact that my hair looks much smoother after the hair wash. Furthermore, it is obviously less-frizzy! I haven't tried hand massage before, so this is a new experience for me! It instantly loosened up my rigid hand muscles, which felt really good!! Plus, it was not painful at all! Next up was shoulder massage! It's my favourite session among all because I LOVE SHOULDER MASSAGE. Every day, I would always feel some kind of tension and pain around my shoulders, probably because I spend most of my time sitting in front of the laptop. That's why I really enjoy the luxury of getting shoulder massages. 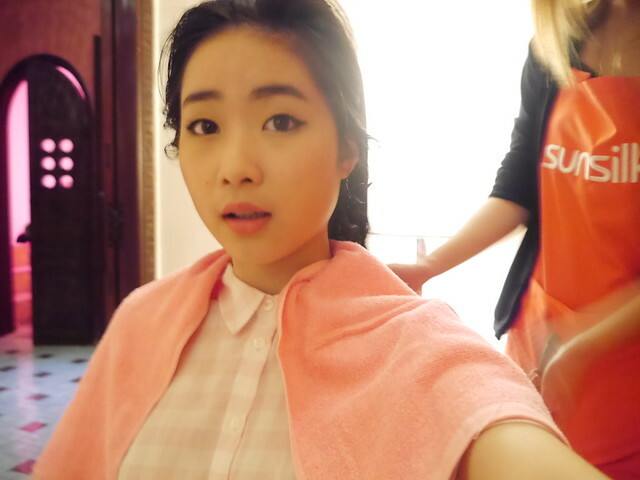 After the shoulder massage, I felt much more rejuvenated! You know what? All the abovementioned activities incorporated ONE important ingredient. Anybody knows what is it? YES, I'VE MENTIONED IT ONCE. THE ARGAN OIL! Argan oil is often labelled as the "miracle oil" simply because of the many wonders it does. It is an organic product extracted from the kernels of the argan tree, which is native to Morocco. What makes argan oil so special is that it is extremely rich in nutrients, such as fatty acids and vitamin E, which are particularly beneficial for our hair and skin. Argan oil has a number of benefits when used on hair. It can act as a moisturiser for the scalp to fight dandruff and dry scalp. It can also promote the growth of healthy, strong hair as opposed to thin, brittle hair. It can even undo some of the damage done through chemical treatments and dyes, and can be used to treat split ends. 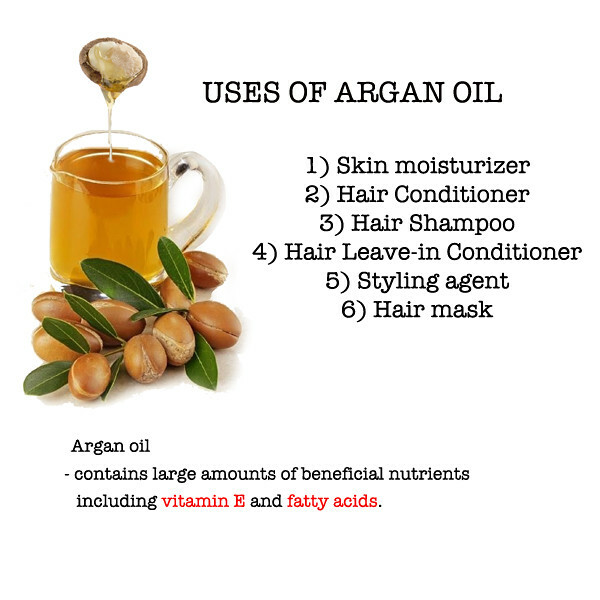 Immediate benefits can also be seen in people who use argan oil on their hair. It is an excellent agent for taming frizz and promoting shine and gloss, as well as softer, more manageable hair. Sunsilk Smooth & Manageable products use only certified 100% organic argan oil imported all the way from Morocco, which creates an ultra light protective coating that keeps our hair nourished. 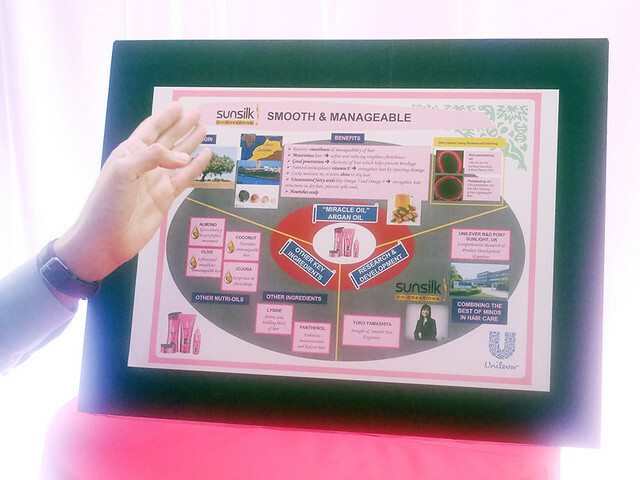 Also, Sunsilk Smooth &Manageable’s hair care range has a unique blend of five natural oils, which is contrary to the typical mono oil formula. The other natural oils used are namely coconut, almond, jojoba and olive. Our hair is just like our skin. As our skin needs skin care products to keep our skin moisturised, so do our hair! Each of the natural oils has its respective functions which in synergy, keep our hair nourished and healthy. The most interesting part of the day? A quick test! 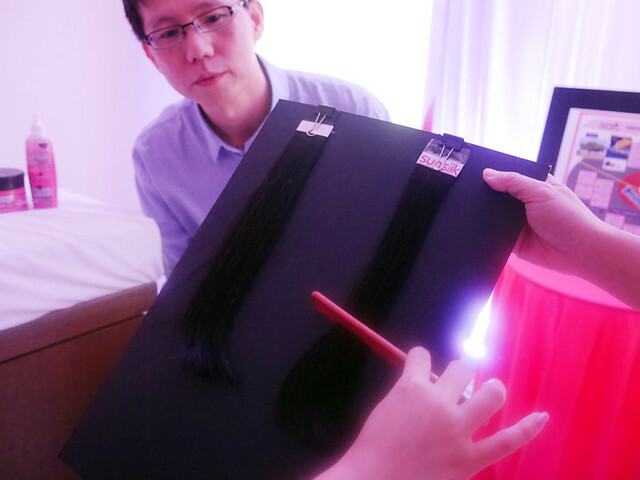 Running a comb through, it could be observed that the hair switch on the right, which was washed and conditioned with Sunsilk Smooth & Manageable shampoo and conditioner, is much smoother and easily combed than the hair switch on the left! Yay! Posing with our selfie-ready-hair and also Sunsilk's products! Everyone's hair looks so smooth and healthy!!! 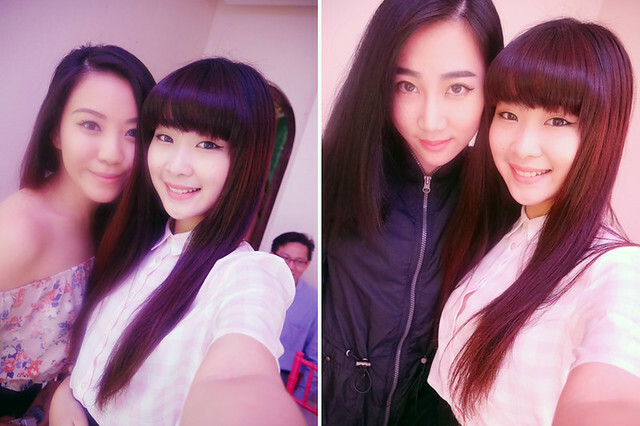 Selfies with Careen and Daphne! Ok la, enough of showing my selfies already! NOW IT'S YOUR TURN TO SHOW ME YOUR SELFIE-READY-HAIR!!! Ever dreamt of watching a selfie movie, starring YOU? Now it's your chance to shine!!! Stand a chance to be a part of the Sunsilk Selfie Movie by just SUBMITTING YOUR SELFIES. The contest runs from 3 March 2015 until 3 May 2015. For more information on how to join the contest, head over to www.sunsilkmalaysia.my/selfiemovie!! !